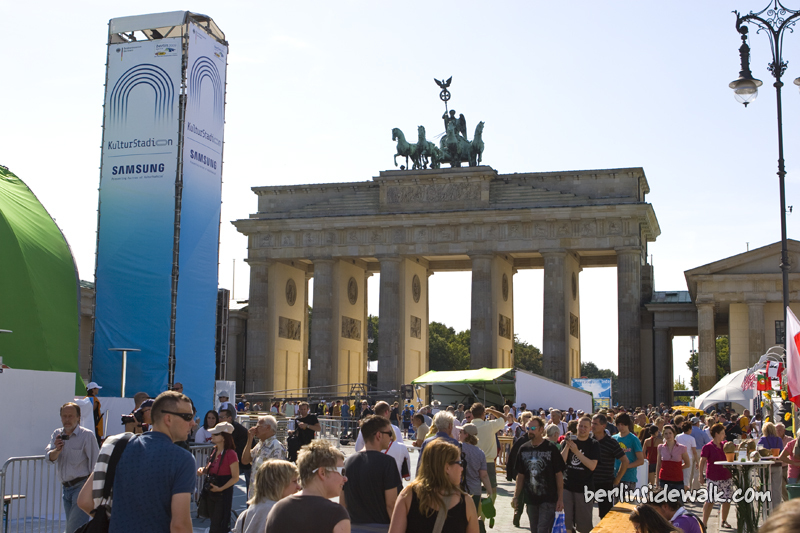 I said i would take some photos from the “big” IAAF09 Fan Mile in front of the Brandenburg Gate, but due to the 20km Walking Finals one hour ago, the mile wasn’t as big as i thought. Some food booths, a stage and the last remains of the Goal. Hopefully, i can take some better pictures next weekend.